Koh Lanta is a peaceful and culturally rich island that is just a stones throw from Phi-Phi and only an hour and a half from Krabi International airport. 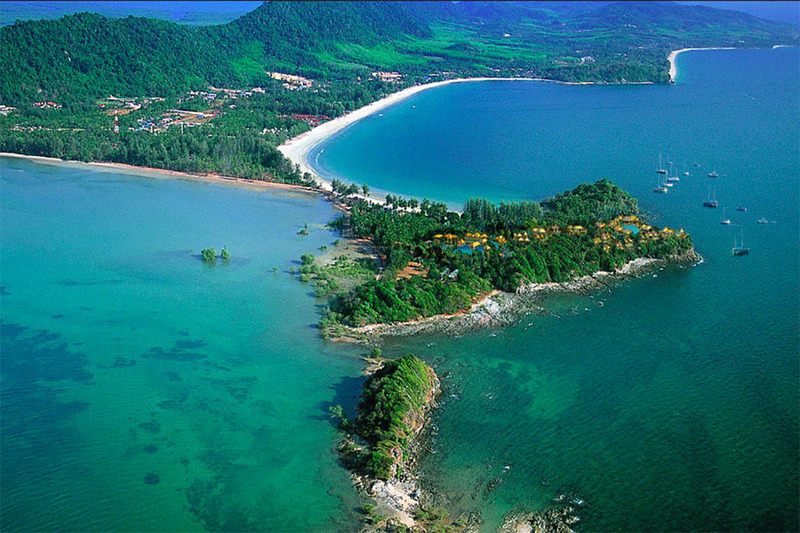 Koh Lanta remains relatively unspoiled with miles of white sand beaches and nearby dive spots. Here rugged tree-covered hills give way to the mangroves and traditional villages. 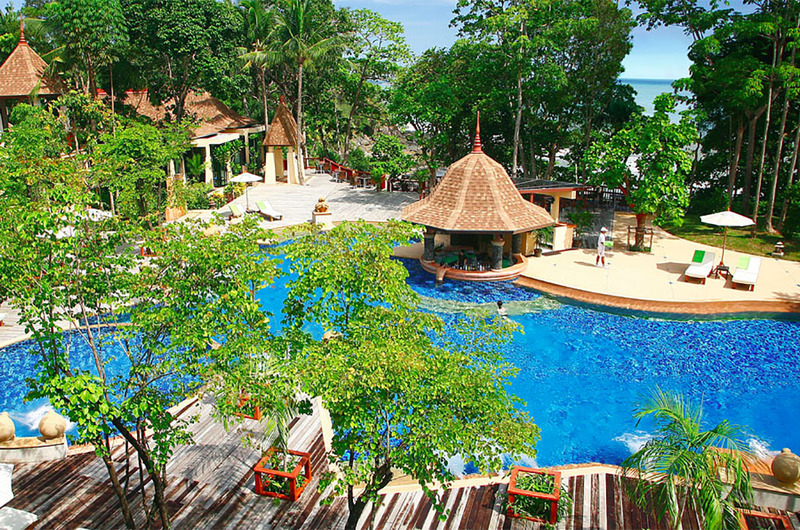 Crown Lanta Resort & Spa which also features in my top 5 best hotels and resorts on Koh Lanta (also see photos above), extends across 22 hectares of gentle hills which lead down to cliffs overlooking the sea. 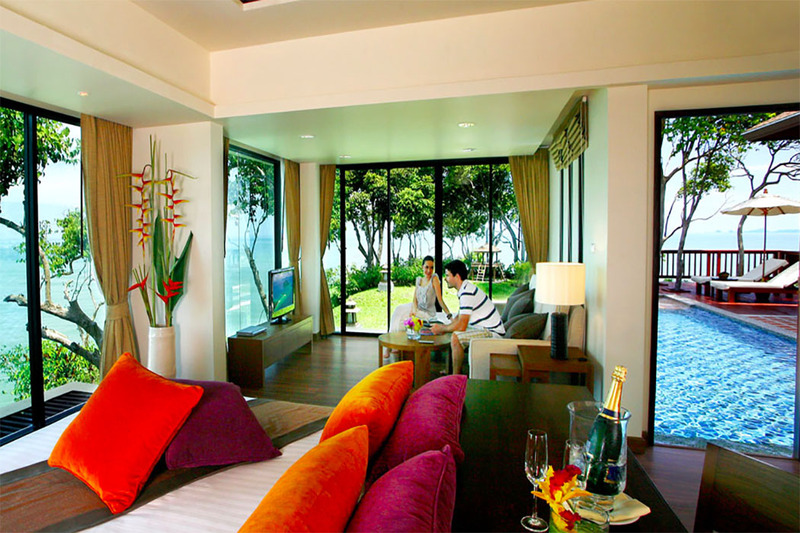 The resort takes advantage of the stunning views across the ocean and Phi Phi Islands. An small but perfect, private white sand beach can be reached by steps and there is also direct access to the famous 3km long Klong Dao Beach. Ocean Private Pool Villas offer a private swimming pool and breathtaking panoramic views. Enjoy the tastes of Thailand at the on-site restaurants, and be pampered at the rejuvenating Infinity Spa or laze around the two pools. In the evenings, sit beachside at the Reggae Bar and enjoy a beer as the sun goes down. The Spa here is beautiful with eight treatment pod and dining here simply could not be more romantic in intimate dining pods which are dotted around the swimming pool and next to a cascading waterfall. Keemala Phuket also features in my Best Wilderness Resorts In Asia. This exceptional resort is perfectly romantic with some the best pool villas in Thailand. Arranged in the style of a tranquil Thai village, the resort’s stunning villas surround a sparkling lagoon and feature an open-air bath and a private sundeck with jet pool or private swimming pool. Banyan Pool Villas offer a serene setting in landscaped gardens while the Banyan Lagoon Pool Villas overlook the tranquil lagoon. This tropical fairytale sits to the side of Bang Tao Bay which always sparkles. Facilities include swimming pools, 3 km of sandy shores, a championship 18-hole golf course and a choice of five sumptuous dining restaurants. Try dinner on a long tail boat in the middle of the lagoon for a truly enchanting experience. A towering Thai pavilion sits at the Amanpuri’s centre, fringed by lush jungle and facing onto a vast black-tiled swimming pool with a glorious view of the Andaman Sea. A stone staircase leads to Pansea beach, a rustic-chic restaurant, more swimming pools, a watersports centre and tennis courts. An excellent spa is tucked away on the other side of the resort, overlooking Bang Tao beach. Six Senses Yao Noi is one of the most luxury resorts in Asia with a price tag to match. 56 pool villas will appeal to your inner child. They feel like you are staying in a luxury tree house. Perched on a cliffside, with jaw-dropping views over Phang Nga Bay’s fantastical limestone pinnacles, these rustic villas with palm leaf roofs, provide generous personal space and utter luxury. Also on offer is a superb Six Senses Spa. Having tried a few treatments at the Six Senses in Puente Romano in Marbella, I can vouch that Six Senses offers some of the best Spa treatments in the world. Expect an amazing experience and gongs! 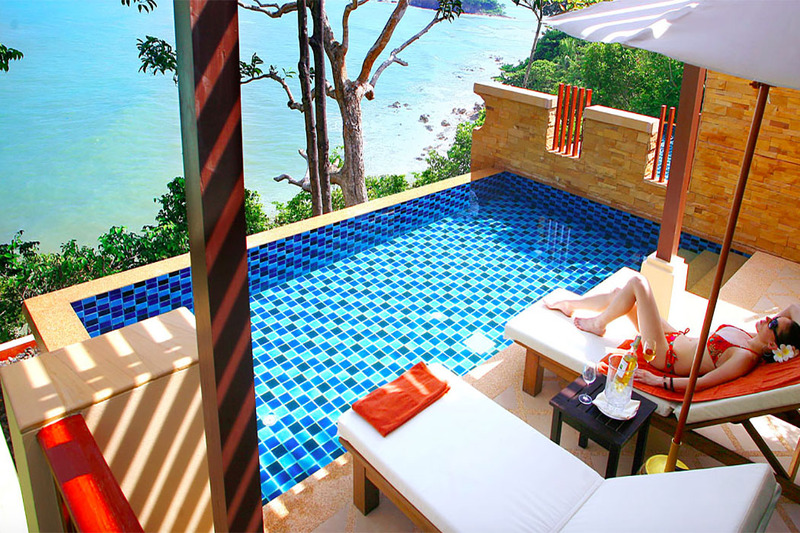 Laze by the infinity pool which is so perfect that you feel you might swim right off the edge. Eat at the split-level dining room which is surrounded by natural vegetation and a waterfall, drink on a day-bed in the main house, stay as long as you can afford. Read my other top five best articles to discover the best beaches and luxury hotels around the world including my 5 best luxury hotels in Thailand with private pools or infinity pools, my best destinations in Europe and my best wilderness lodges in the world. Please contact our luxury travel concierge if you would like Virtuoso benefits and perks like a free breakfast, complimentary room upgrade, spa & restaurant credits, welcome gift, early check-in and late checkout, on your next booking at a Four Seasons hotel or any other luxury hotel.